No written guide can alert you to every hazard or anticipate your personal blindspots. There’s no substitute for formal instruction, routine practice, and plenty of experience. But gaining some basic knowledge of the different types of avalanche, and becoming aware of the common pitfalls (or ‘heuristic traps’) in our decision-making processes, are essential steps for us venturing into avalanche zones. No-one, not even the most experienced climber in the world, can pretend to be able to predict every avalanche. Nonetheless, avalanches are not supernatural events. By knowing a little about the science of snow and the way avalanches are formed, we can give ourselves the best chance of being able to read the warning signals, and thus reduce the threat they pose. Let’s start with a general description of snow and the types of avalanches. Snow forms in the atmosphere where super-cooled water droplets condense around microscopic particles such as dust and plant spores. As water vapour freezes around these nuclei, snow crystals are formed. These are generally hexagonal (see picture), but they can also be plates, columns and needles. The shape and form of the crystals are largely determined by the temperature and humidity at their formation and on their journey through the atmosphere. 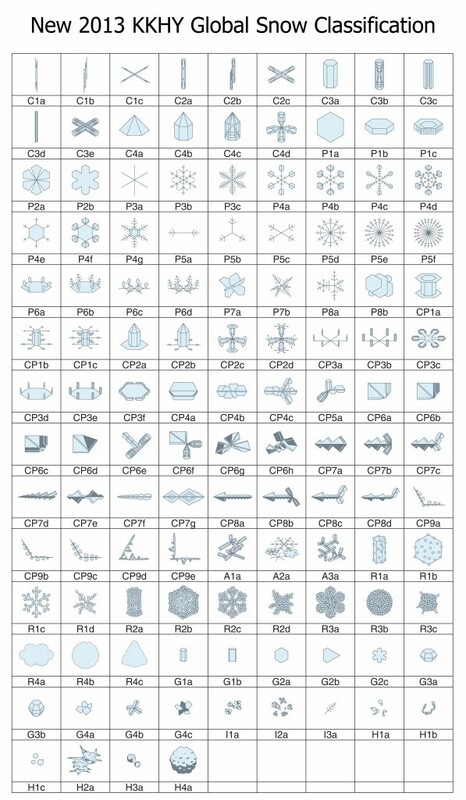 Here you can see a list of the 121 different types of crystals that are formed in our atmosphere. Once the snow crystals have fallen to the ground, there are several ways these will change shape. Kinetic growth or faceting – caused through the difference in temperature from the bottom of the snowpack (0°C), and the surface temperature. The bigger the temperature difference per cm, the greater the vertical migration of water vapour through the snowpack. Melt-freeze metamorphism – in thaw conditions practically all snow crystals are reduced to rounded ice grains surrounded by a film of liquid water. A subsequent freeze will cement these grains together. 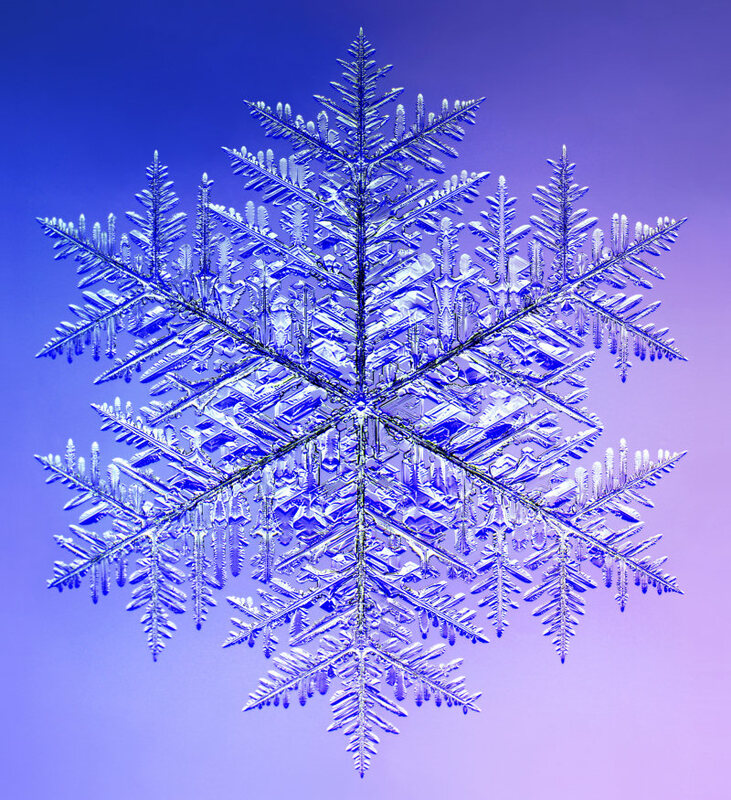 Wind transportation – winds in excess of 20mph will cause damage to the snow crystals. Broken crystals tend to be dumped in areas where the wind is decelerating (leeward side of a hill). Loose snow avalanches are usually characterised as a point release or a slough, and involve unconsolidated layers of surface snow. 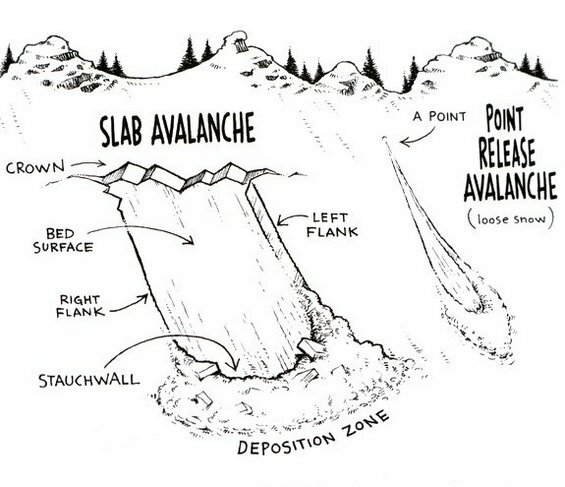 Slab avalanches occur when one or more layers of cohesive snow release as a unit. Precipitation – 2cm/hour of snowfall, or 20cm of new snowfall in the last 24 hours, would be cause for concern. As would be rain. Wind – 15 – 60 mph transports snow, anything higher and the snow will often disperse beyond the starting zones of avalanche paths, depositing it further down the slope. There it will stay, beyond the point where it can form dangerous wind slabs on critical slope angles. The direction is hugely significant as it will determine where the snow will be deposited, and which slopes will be likely to avalanche (leeward side of a slope, or cross loading of gullies). Temperature – a thaw will destabilise the snowpack until any subsequent freeze. Constant low temperatures (-10°C or lower) will mean that the snowpack stabilises very slowly. Sun – This is a complicated topic to explain, as the effects of the sun and its radiation depends on the depth of the snow, the surface it lays upon (i.e. rocks, earth, etc… in reference to the objects radiation absorbancy), the albedo of the snow/ice (i.e. its reflective characteristics), and the amount of impurities within the snowpack. Slope angle – avalanches are likely on terrain of 30° to 55°, with 35° to 40° being prime avalanche terrain. Aspect – leewards slopes collect more snow (these can also exist on ridges and be cross-loaded), hence would be more prone to avalanches. Shaded slopes can have surface hoar, sunny slopes can become unstable with the rising temperatures in spring. Shape – watch out for convex shaped slopes over steep ground, as the upper part will be between 35° and 40°, highly prone to avalanches. Are there layers in the snowpack? – There need to be strong and weak layers present, for there to be avalanche risk. Poor bonding between these layers would give me a cause for concern. Signs of instability – recent avalanche debris, cracks appearing across a slope, ‘whoomping’ noises as you walk across the snow, snowpits showing unstable snow (snowpits only show what the snow is doing where the pit is dug, it is not a representation of the slope). We’re all liable to fall into lazy, false or habitual ways of thinking, perhaps especially at moments of extreme fatigue or stress. As a climber, it is precisely at those moments that you’re at your most vulnerable. Familiarity – if we are familiar with a particular area or route, and have not previously encountered any problems with it, we are likely to assume that it is safe, even when it is not. Acceptance – we all have a tendency to engage in activities that we think will get us noticed or accepted by people we like or respect. It’s natural to want to impress others in the group, and this may cause us to overlook warning signs. Commitment – we’ve come a long way, we often feel compelled to remain consistent and continue with the route, regardless of any warning signs we may encounter. Expert halo – we often place our trust in a group leader, and allow them to make critical decisions for the group, even if those decisions do not seem to us the most sensible. Tracks – “This pristine snow looks so good, there are no tracks on it. I just have to ski, walk, climb it, and be the first one” This is about how we sometimes overvalue things that may be scarce. Social – sometimes in a group we feel social pressure not to be the one ‘making a fuss’, expressing our concern about the conditions or route choices that have been adopted by the group. When you go out in the mountains, it’s important to be aware that we are all vulnerable to these ways of thinking. Always do your own preparation: research your route, and take note of the weather forecast. Trust in your own observations, and don’t be swayed by others who may seem more knowledgeable than you (it could just be bravado). Remember that you are never committed to a reckless course of action, no matter how far you’ve come. You’re always free to change your route, or turn back. The mountain will be there tomorrow – make sure you are. What can we do to minimise our vulnerability in an avalanche zone? Take the B.A.D. approach (Before, Approach, During). Before – before we set off on our journey, we should review the weather forecast. Check the snow/avalanche forecast. Look at other people’s blogs (they may give details about conditions out on the mountains). And study a map of the area, including any route(s) we intend to follow or avoid. Approach – on our approach we should observe the weather conditions – do they match the forecast, or are conditions proving unpredictable? We should look for signs of any recent avalanche activity, or instability. If possible, we should check the descent route too. During – we should constantly reassess the weather conditions for any change, and, as we travel through the snow. We should be aware of any signs of instability. If there is any cause for concern, we should remember to be flexible and consider alternative routes. Consider the history of the snowpack – look at the previous 7 days of weather and avalanche forecast before going out on a trip. Sometimes, 7 days is not enough, you may have to look at the history of the snowpack from the beginning of the winter. This depends on where you are in the world, and the weather conditions. Approach conditions – as climbers we are very likely to approach a climb on a slope which is the perfect angle for avalanches. So consider the avalanche conditions, and make sure you have alternatives to the route choice. Snow conditions above the route – keep in mind that your route choice may be under an area that may be at risk of an avalanche, or you may be crossing the path of potential avalanche looming. 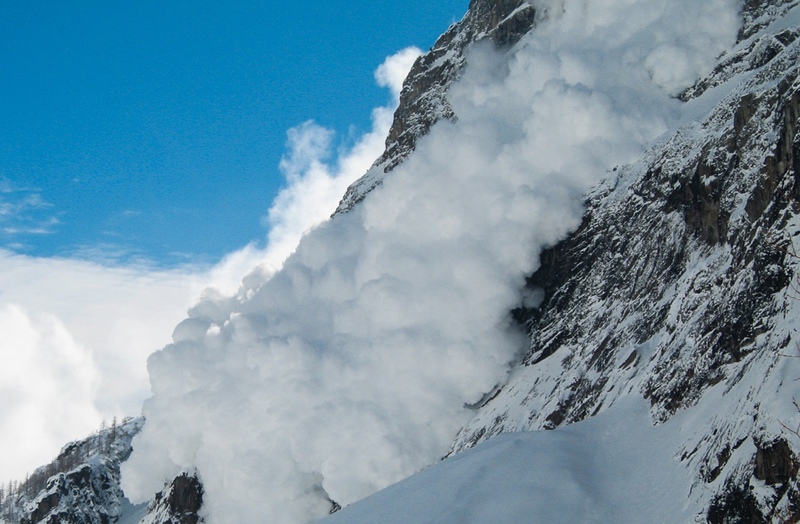 Avalanches are very often triggered by parties above. Please consider all of the above topics when you go out in winter conditions, where avalanche safety and awareness are a must, whether going skiing, ski-touring, winter walking, mountaineering or climbing.